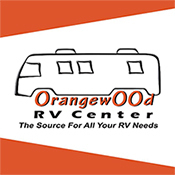 Orangewood RV Center is a full service professional RV Center, situated on a 12 acre facility that offers New Keystone, Heartland, and Eclipse products and Pristine Pre-Owned RV's, Motor Homes, Travel Trailers, and Toy Haulers. We have 26 bays for service, repair, ad detail and one of the largest fully stocked 6500 sq.ft. parts showroom and warehouse in AZ.